The loss of a gene puts pressure on an organism to compensate, which leads to mutation in one or more different genes elsewhere in its genome, researchers say. The discovery, made in yeast, is likely applicable to human genetics because of the way DNA is conserved across species. The findings could change the way genetic analysis is done in cancer and other areas of research, the scientists say. Summarized in a report to be published in Molecular Cell, the results add to the evidence that genomes, the sum total of species’ genes, are like supremely intricate machines: removal of a single, tiny part stresses the whole mechanism and might cause another part to warp elsewhere to fill in for the missing piece. 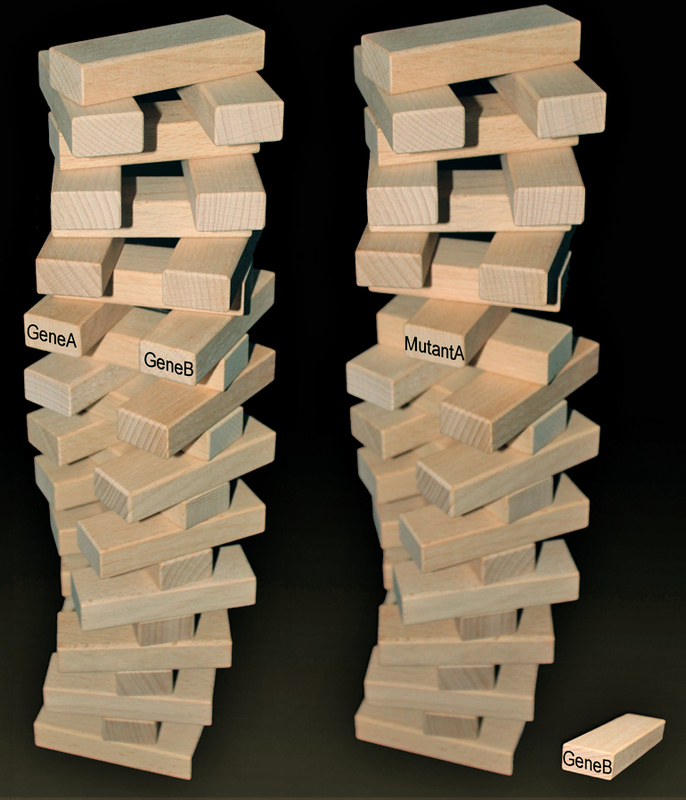 “The deletion of any given gene usually results in one, or sometimes two, specific genes being ‘warped’ in response,” says J. Marie Hardwick, professor of molecular microbiology and immunology at the Johns Hopkins Bloomberg School of Public Health and of pharmacology and molecular sciences at the university’s School of Medicine. Hardwick says the findings should prompt researchers to be even more careful in genetic analyses; otherwise, they might attribute a phenomenon to a gene they mutated, when it is actually caused by a secondary mutation. “We had been thinking of cancer as progressing from an initial mutation in a tumor-suppressor gene, followed by additional mutations that help the cancer thrive,” says Hardwick. The beauty of working with yeast, Hardwick says, is that it is easy to delete, or “knock out,” any given gene. Her team started with a readily available collection of thousands of different yeast strains, each with a different gene knockout. Hardwick believes that “essentially any gene, when mutated, has the power to alter other genes in the genome.” Deleting the first gene seems to cause a biological imbalance that is sufficient to provoke additional adaptive genetic changes, she explains. Co-authors of the report are from Johns Hopkins and the University of Washington, Seattle. The National Institute of Neurological Disorders and Stroke and the National Institute of General Medical Sciences supported the work.